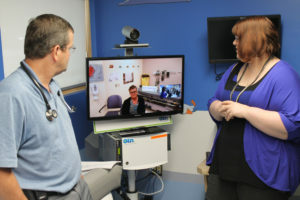 Physicians in selected states who are interested in practicing telehealth across state lines can now apply to the Interstate Medical Licensure Compact (IMLC). The IMLC has been in development since 2014, to encourage the new possibilities achievable through medicine and communication technology. As it stands, only 7 of the 18 member states can currently apply for their interstate license, but the remaining 11 will be added once a dispute with the FBI is settled.